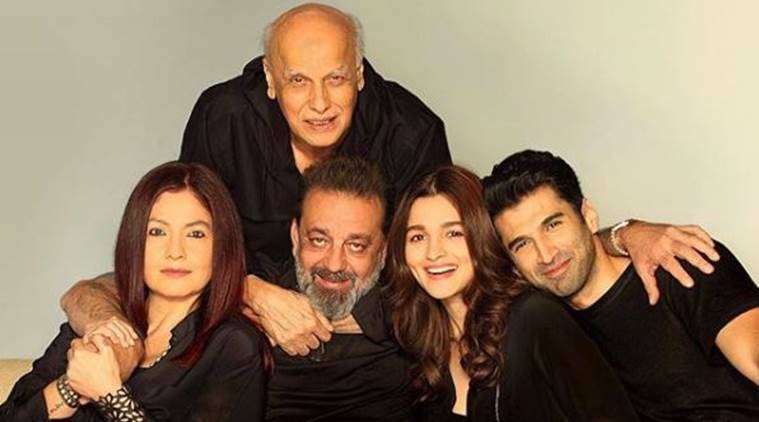 Earlier this month, it was revealed that Mahesh Bhatt will finally confirm to return with Sadak 2 and he is working with his youngest one Daughter Alia Bhatt. The talk about a sequel to Sadak was in news for a while, but nothing optimization happening until now. With Alia Bhatt the director Mahesh Bhatt decided, the Bhatts are finally coming together. Along with Alia, Sanjay Dutt, Aditya Roy Kapur, and Pooja Bhatt will be in the lead star cast. Interestingly, today the official announcement has been made as it is Mahesh Bhatt’s 70th birthday and it marks his return to direction after 23 years. Alia Bhatt, this morning, took to Twitter to make the official announcement of Sadak 2with a short teaser containing rushes from the original film which starred Pooja Bhatt and Sanjay Dutt. Vishesh Films also announced the release date which is March 25, 2020. The film is set to go on direction next year. “27 years ago, a love story won your hearts. A timeless tale. The next chapter begins… Mahesh Bhatt’s Sadak 2 in cinemas 25th March 2020! ,” they wrote alongside the teaser as well. With his trademark candor and brutal honesty, Mahesh Bhatt describes the feeling of being back in the driver’s seat as director for Sadak 2. The narrative of Sadak 2 is pulled out of my lived life. It’s a film about living, loving, caring and dealing with the anguish of the loss of a loved one. Mukesh Bhatt adds, “Though I have made so many films in the 32 years of Vishesh Films, Sadak has a very special place in my heart because it’s one of the most iconic hits of my career. The Gladiator Director Mahesh Bhatt is back after many years to perform in the arena once again. Sanjay Dutt and he have a magical past and they share a bond which is beyond professional understanding. With Alia Bhatt coming on board, Pooja Bhatt being there and my daughter Sakshi, who is the co-producer of this movie – The three sisters will be seen performing their important roles. I feel it is a very emotional moment for me to see this happening in my life. Sadak is not just a movie, a project for me, it is very close to my heart. I know this journey will be the most experiencing for me that I have had in so many years before as a filmmaker and I am looking forward to it. Alia Bhatt is working for the first time with father Mahesh Bhatt and sister Pooja Bhatt. Sanjay Dutt, who is close friends with the Bhatts, is returning to the Bhatt’s organizations after 23 years since he did Gumraah in 1993. Aditya Roy Kapur is also returning with Vishesh Films after his 2013 blockbuster Aashiqui 2 which put him on the line of stars. Aditya Roy Kapur and Alia Bhatt reveal the role for this movie as a young couple. Meanwhile, Sanjay Dutt is set to reprise his same original role as Ravi. As the original Sadak revolved around a taxi driver who falls in love with a woman which is forced into prostitution and his role is to battles with all in order to free her. A Mukesh Bhatt Presentation of a Mahesh Bhatt Film, Sadak 2 is a Vishesh Films Production and is slated to release on 25th March 2020.